Mini-games have become a regular standard feature of any modern video game. There are many different types of these mini-games, from beating up a car in Street Fighter II arcade-style to fishing, hunting and/or poker. In fact, there are simply way too many examples out there to list them all. 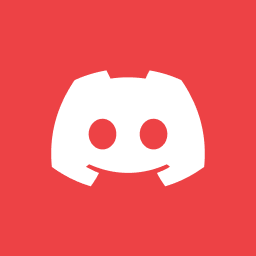 Instead, we have rounded up a few of our personal favorites from some of the most recent games released – starting with a Western gaming classic. Many games, particularly the “open world” ones, have plenty of side attractions to keep you amused between missions. One particularly great example of this is 2010’s Red Dead Redemption, the sequel to which is this year’s most hotly anticipated release. In the original, we were encouraged to play Horseshoe, Five Finger Fillet and other card games, the latter of which was even included in some story mode missions. It is hoped and widely rumored, that the incoming follow-up will also include a poker feature, which is widely regarded as a skill-based pastime. These mini-games can be played at various locations throughout the old West, and in the latter case looks like a pretty fair recreation of what a cowboy’s card game would have looked like at the time. 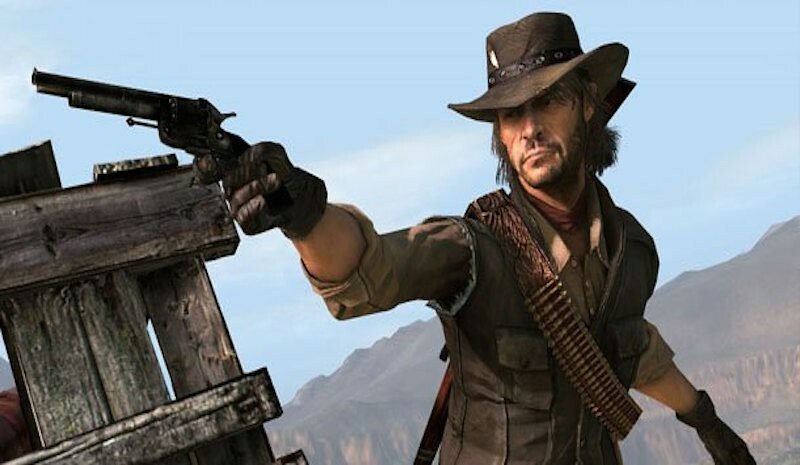 The original Red Dead Redemption protagonist John Marston was even able to cheat so long as he had the right equipment, in this case, a jacket, enabled. Equipment that we the players could access via the Liars and Cheats DLC pack. This game was bliss to play, and the extras were perfectly suited for maximizing the fun that this title inspired. In Ubisoft’s pirate game Assassin’s Creed 4: Black Flag, one of the fun little additions was the three mini-games for users to play. While none of these were mission critical, they were still a sweet way to take a break from the story mode. They were board games played with the rules from that time period and known as Fanorona, Nine Men’s Morris and Checkers with all three boasting differing difficulty levels from beginner, intermediate to expert. Checkers, or draughts as it can be known, has been around in various forms throughout history, while Nine Men’s Morris and Fanorona are both variations of the same game but with different rules. These games could be played at the different Caribbean islands and ports you dock at along the way. In Fanorona your pieces could travel along any of the lines on the board to create diamond and cross-shaped areas, while in Men’s Morris, the object was to arrange three of your pieces in a straight line, known as a “mills”. Once you created a mill, you could take any of your opponent’s pieces so long as they were not already part of yours. Understandably, of course, these took a little getting used to but the game did provide instructions so all was good. In previous versions of the Far Cry franchise, hunting has always been a survival feature but in the latest edition, Far Cry 5, which came out in 2018, this was given a tweak. There is now next-to-no need to hunt wild animals, save for trading purposes, but there has been a new fishing mini-game installed which has proven popular. 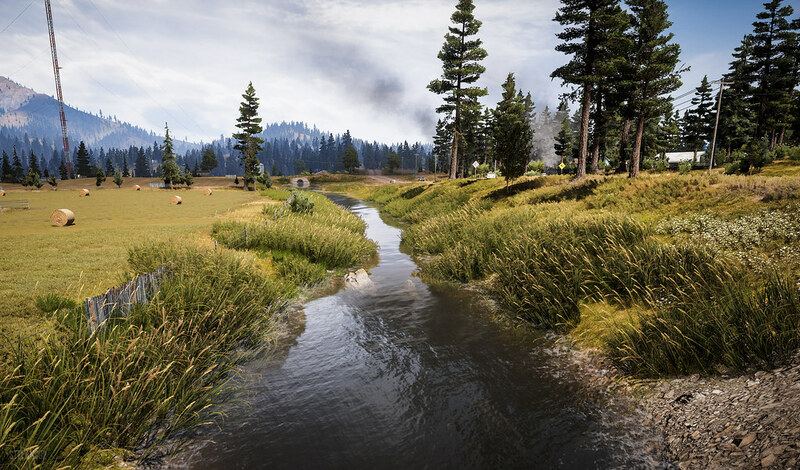 So popular in fact that Far Cry 5 players have been taking a break from the main story in the game and instead have been relaxing with the fishing mini-game. There is a wide range of fish to be caught in the game, and players are encouraged to buy or upgrade their fishing rods accordingly to improve their chances of a successful fish, which helps because numerous missions hinge on this particular pastime. Once caught, fish can be sold at stores while the rarer fish can demand a good amount of money, which also helps in the game. Grand Theft Auto V, the latest edition of the industry’s biggest selling franchise, is the king of mini-games. Number five was no exception. Bigger and badder than ever before, it came with a whole host of mini-games and pastimes so brilliant and well finished that they could probably stand alone as separate releases. From playing Golf or Tennis at the country club to parachuting off a mountaintop to getting your pilot’s license, there is literally a massive and almost never-ending list of things to amuse yourself with when not robbing banks. This game is almost impossible to complete. Which, by the way, is just the way we like it. Do you agree with our list of minigames? What games may we have missed? Let us know in the comments below and find us on Social Media for more awesome content like this. Dr. DisRespect: What Exactly Happened?